The Professional Scrum Foundations (PSF) course is the perfect introduction, reboot or refresher to Scrum. This course is for teams or anyone wanting to experience the Scrum way of working. 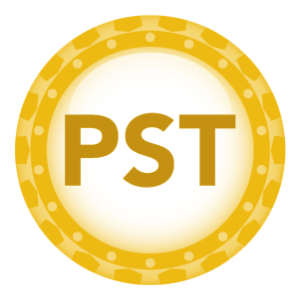 PSF provides the base knowledge needed for anyone interested in taking role focused training. Accredited through Scrum.org, the Scrum training will give attendees necessary knowledge to attempt the Professional Scrum Foundations Exam. The Professional Scrum Master (PSM) course is for anyone involved in software development using the Scrum framework. It is particularly beneficial for those people within an organisation accountable for getting the most out of Scrum, including Scrum Masters, managers, and Scrum Team members. Accredited through Scrum.org the certified Scrum Master training will give the attendees the required knowledge to attempt the Professional Scrum Master Exam. The 2-day Professional Scrum Product Owner course focuses on all of these areas to teach students how to maximise the value of software products and systems. 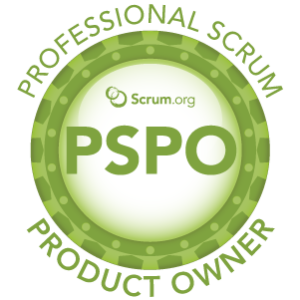 PSPO is the cutting-edge course for Product Owners, Agile product managers and anyone responsible for a software product’s success in the market. In this course, students will develop and solidify their knowledge of being a Product Owner through instruction and team-based exercises. 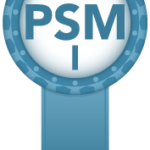 The Professional Scrum Master™ level II (PSM II) assessment is available to anyone who has passed the PSM I assessment and wishes to demonstrate his or her ability to apply the Scrum framework to solving advanced, complex problems in the real world. 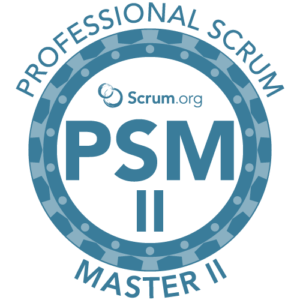 Anyone attempting the PSM II should have advanced Scrum knowledge, in-depth Scrum experience and/or have taken the Professional Scrum Master course prior to taking this assessment. 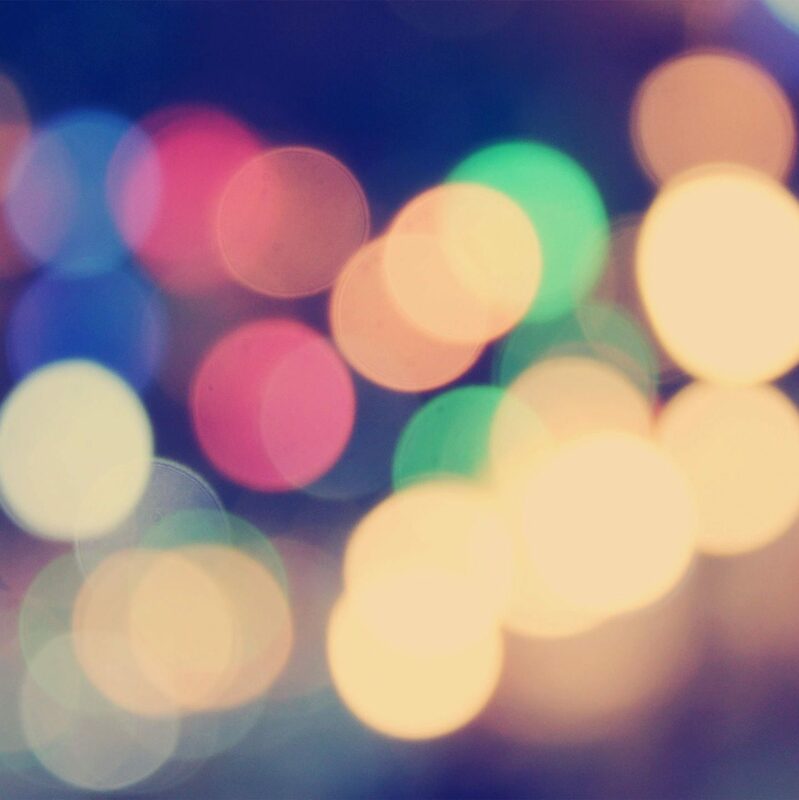 Becoming an agile organization is a profound transformation that requires senior leaders, middle managers, and agile team members to change the way that they organize their work, manage that work, and measure the results of the work. so are the results when everyone’s goals and ways of working are aligned. All Professional Scrum Trainers (PSTs) are professionals licensed by Scrum.org to teach the official Scrum.org curriculum. The trainers are skilled in software development and/or product management. They are experts in Scrum and have extensive experience applying, leading, teaching, and coaching it. PSTs have been servant-leaders at an organisational level. They are active in local agile and software development communities, as well as the broader global agile and Scrum movements. Interested in finding more out?